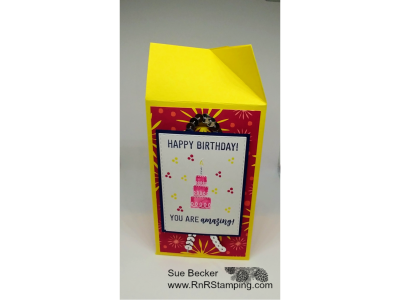 RnR Stamping: It's a Blooming Birthday Triangle Box! 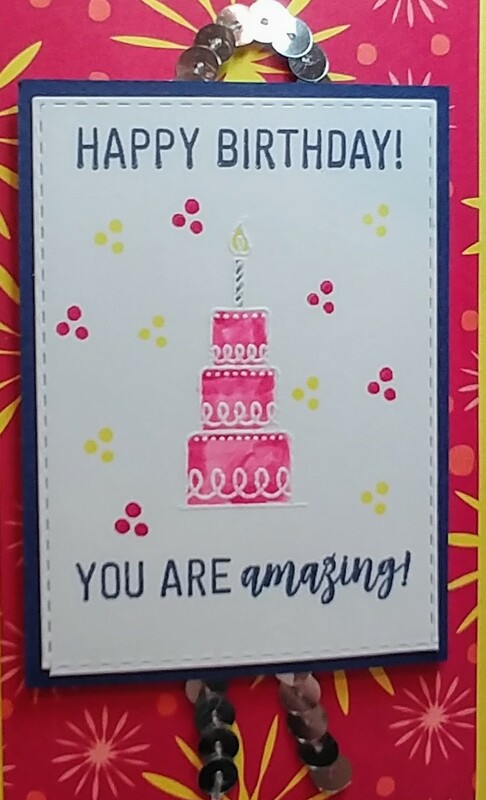 A co-worker who I enjoy is celebrating a birthday this month and I wanted to give her a little something. I'm a believer in, "it's not necessarily what's inside that counts". Why? 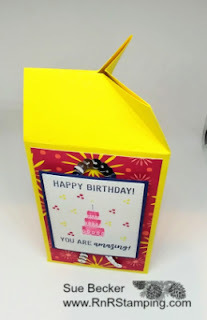 Because I love creating fun packaging with Stampin' Up! products! 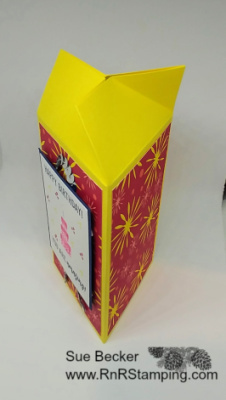 The Pineapple Punch cardstock is a bright and cheery base for the beautiful Happiness Blooms Designer Series Paper. The shape of this box is so fun. 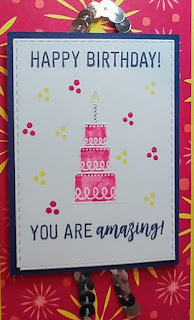 The Amazing Life stamp set had just the sentiments I needed and the Silver Sequin Trim gave me just the right amount of sparkle. I think my co-worker will LOVE the packaging and she'll likely enjoy the chocolate inside too! For info on how to create this project, subscribe to my newsletter. 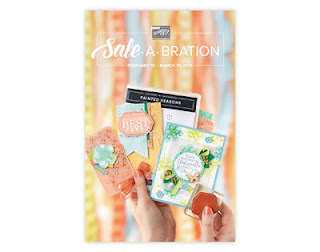 MORE FREE Sale-A-Bration items coming your way on February 15th. It's a Pootles tutorial.The link is in my newsletter. Is it 3-sided? I'd love directions for this! What a great looking package. Thank you so much. Thanks Mary Beth. I used a Pootles tutorial. The link is in my newsletter.